Responding to new guidance published by the Government on rogue landlords, the Chartered Institute of Environmental Health (CIEH) has welcomed the guidance but criticised it for being long overdue. 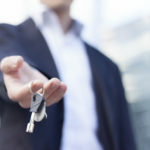 The Ministry for Housing, Communities and Local Government (MHCLG) published two sets of guidance covering both landlord and tenants rights and responsibilities in the private rented sector, and rogue landlord enforcement and guidance for local authorities. The rogue landlord guidance looks at issues such as assessing and managing a local authority’s private rented sector, the powers that local authorities have to take action against rogue landlords, and practical advice for officers. MHCLG has also stated that following its nationwide programme of workshops, rolled out to help enforcement officers learn from one another, the guidance published aims to ensure that those responsible for protecting tenants can use the powers available to them to maximum effect.